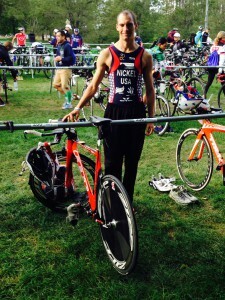 Kevin Nickel, Exercise Specialist at Pinnacle Rehabilitation and Sports Performance (The Summit), competed in the International Triathlon Union’s (ITU) Age Group World Championships in Chicago, IL, Saturday September 19. Nickel placed 12th in his age group and 65th overall out of about 2200 athletes from around the world who qualified to race. Congratulations Kevin!